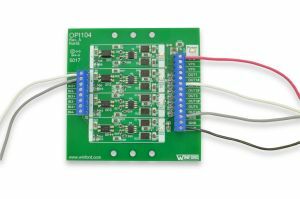 The OPI104 provides four channels of optical isolation with both a non-inverting output and an inverting output for each channel. 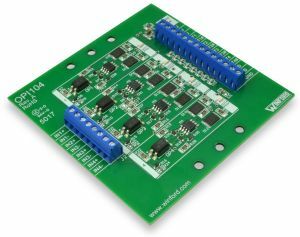 Both the input side and the output side are designed to interface with equipment using logic voltages of anywhere from 3.3V to 24V. This robust design includes protected low-side output drivers that provide significant sink current capability. 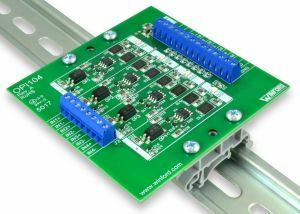 Reverse-polarity protection on inputs and outputs is also included. 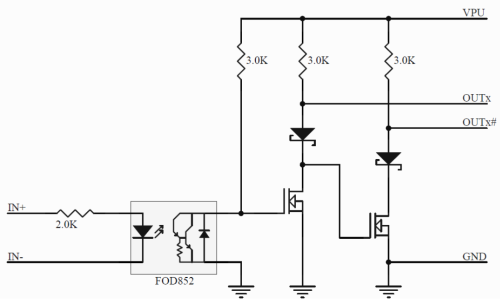 An opto-isolator is sometimes referred to as a "photocoupler", "optical coupler", "optocoupler", "opto coupler", or "optical isolator".